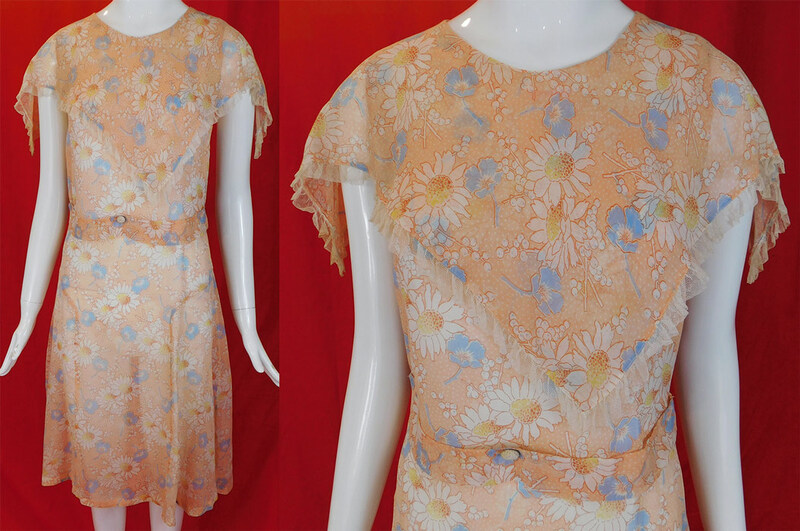 This vintage daisy flower flour feed sack cotton print frock belted house dress dates from the 1930s. 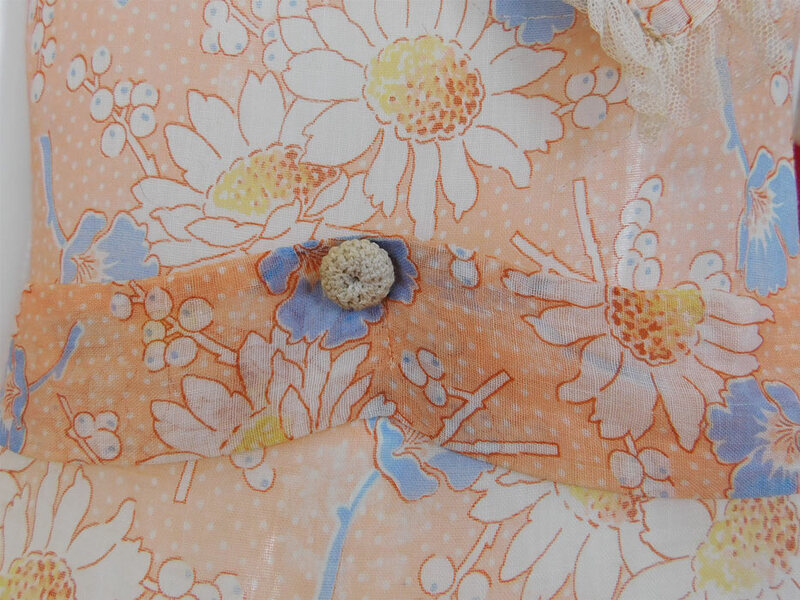 It is made of a peachy pink color, which polka dot cotton muslin four feed sack print fabric with pastel blue, yellow daisy, poppy flowers. 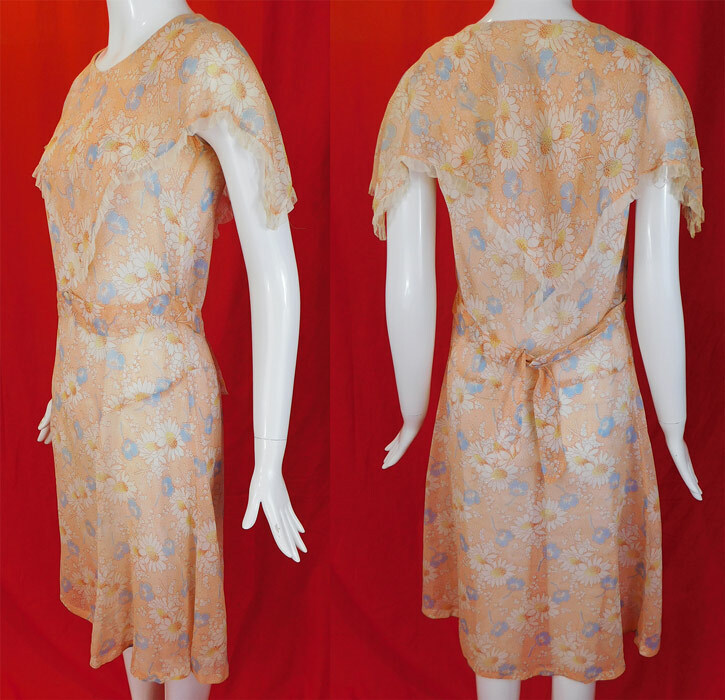 This women's workwear frock house dress has a bias cut, a large shawl capelet collar with white net ruffle trim edging, sleeveless, an attached belted back sash tie with crochet button trim on the front waist and is sheer, unlined. The dress measures 40 inches long, with a 34 inch bust, 30 inch waist and 36 inch hips. It is in excellent condition. 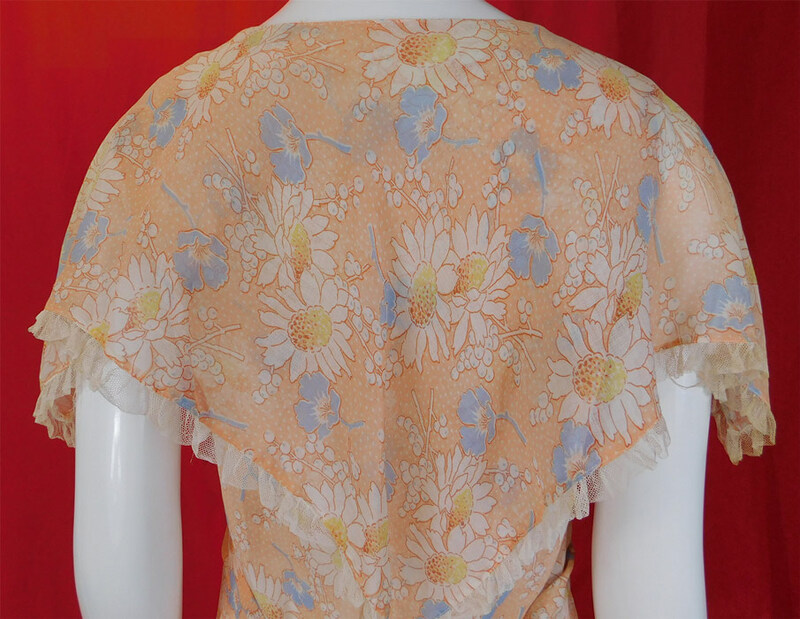 This is truly a wonderful piece of feed flour sack print wearable art!